A 6-year old girl was reported killed in an alleged Coalition raid on the town of Dabiq, though the alliance has denied responsibility. VDC has named the victim as Sara al Naser. 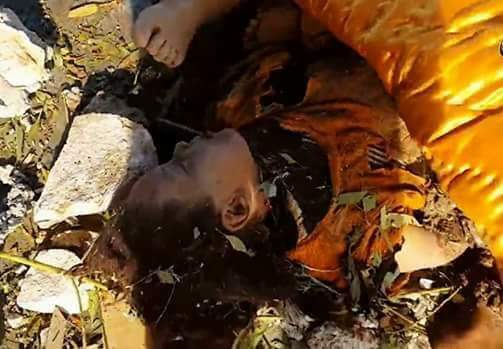 Translation: #Aleppo the martyrdom of a girl following air raids launched by international coalition planes on the village of #Dabeq in the northern Aleppo countryside #Aleppo_is_burning. Translation: News just in - a girl martyred following a raid by the coalition planes on the village of #Dabeq in the northern Aleppo countryside. 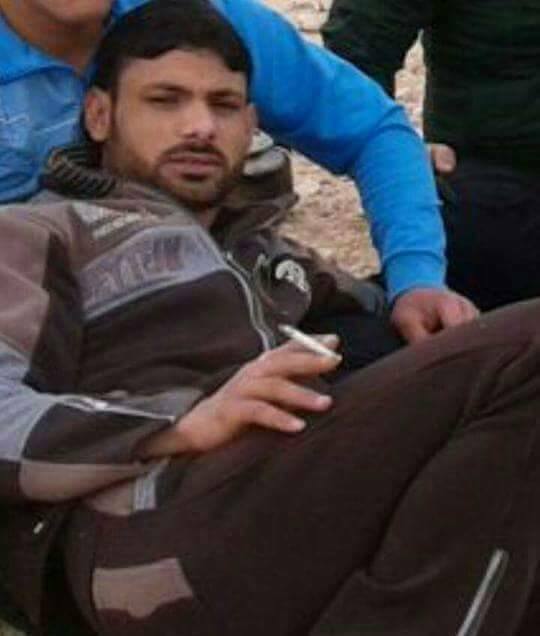 At least 60 civilians were killed and as many as 100 injured in a series of airstrikes in al Qaim, according to reports. However, the alleged Coalition later denied responsibility. Iraqi Spring Media Center said that 60 civilians were killed and 100 injured in an Iraqi government bombing that targeted al Qaim. A report posted on Rawh2015 and at least one other Facebook page indicated that three strikes took place – including on in front of the Grand Mosque and another targeted civilians during the receipt of pensions. 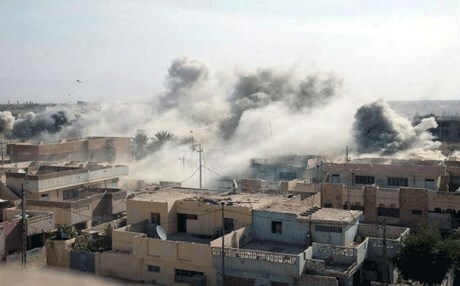 Rafidian Information Center reported that 6 air raids took place. A report in Shafaaq said the head of Iraq’s Parliament blamed the strikes on incorrect coordinates. Other outlets, including Euphrates Post, blamed the Coalition. However, in a statement posted to Twitter, the Coalition’s spokesperson said that CJTF-OIR is aware of reports of civilian casualties near Al Qaim. We did not conduct strikes in the area around the time of the incident. This was later reiterated in the Coalition’s February 2017 civilian casualty report. Later reports from Iraqi Spring Media Center put the death toll at 120 civilians. 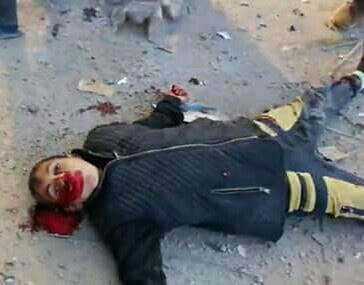 News of Iraq posted extremely graphic photographs of dead children. After a review of available information it was assessed that no Coalition strikes were conducted in this geographic area that correspond to the report of civilian casualties. Between eight and ten civilians died and up to 16 others were wounded in an airstrike on Maskana, according to local sources – though field reports were conflicted as to whether this was the work of the Coalition, the Syrian regime or Russia. The Coalition later denied involvement. Syria News said that “According to activists, the international coalition bombed the neighborhood Rihaniyya in Maskana, resulting in eight martyrs and the presence of dozens of wounded under the rubble, including women and children”. 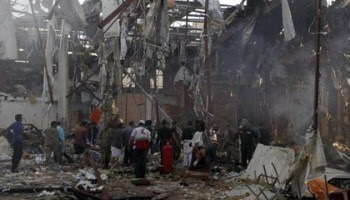 Qasioun also pointed towards the Coalition, putting the death toll at ten. In a video for Al Jisr TV, a reporter says that Russia and the regime were to blame, putting the death toll at eight with 16 more injured. The Step News Agency and Smart blamed Russia, while RFS Media said that the regime was responsible. 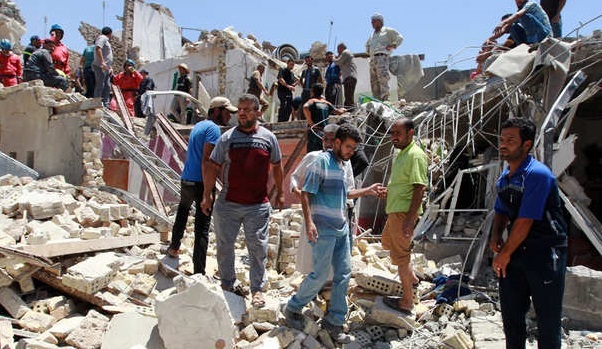 Maskana Halab reported that “eight displaced people including women and children killed as a result of an air raid targeting a house in al Rihaniya in Maskana” – though they didn’t indentify the culprit. Translation: martyrs and wounded under the rubble following an air raid targeting Maskana in the eastern Aleppo countryside. The Coalition has not publicly reported any strikes in Aleppo governorate between March 11th-13th. Russia has not reported any strikes between March 1st – 31st 2017. No Coalition strikes were conducted on that day in the geographic area of the reported civilian casualties. The closest strike to the report of possible civilian casualties was over 2 km away. The Coalition shared the location of this assessed strike with Airwars. The location was stated as the Old City area of Mosul. A 13-year old boy described as a child soldier with ISIL’s Cubs of the Caliphate – later named as Mohammad al A’afr Al Harmoush – was reported killed in a Coalition strike at Al Mayadeen. In an incident not previously tracked by Airwars, the Coalition said in its July report that an allegation on social media of civilian casualties had been assessed as Not Credible. Coalition officials said the alleged event took place in the vicnity of 38SLF 33392 18801. No Coalition strikes were conducted on that day in the geographic area of the reported civilian casualties. A similar report of possible civilian casualties less than a kilometer away is still being assessed.